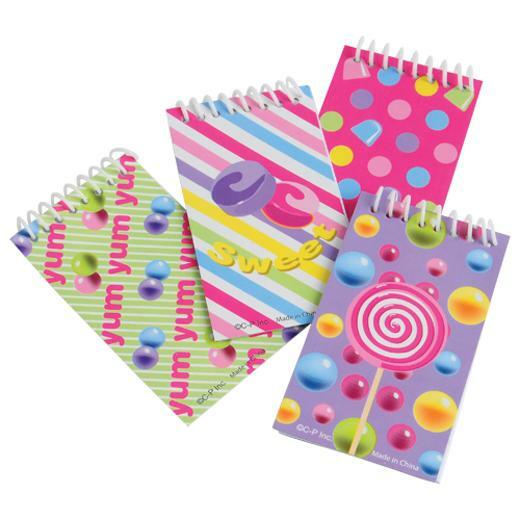 Cheap Candy Notebooks - 12 Ct.
Write a note or draw a picture on this spiral bound, candy-themed notebook. This notebook is a great addition to your goodie bags or as a decoration on your candy buffet table. Perfect pocket-sized stationery item. L: 6.55 in. W: 1.0 in. H: 6.0 in.